The area of the sun room where the bar is going to go has a width of 9 feet, 10 inches. Kind of a weird dimension but certainly big enough for lots of good storage which I sorely need with a kitchen that’s only 10 x 10. IKEA’s kitchen cabinets are the source of much discussion on the Interwebs (have you heard they are coming out with a new line?) and I have read a bunch about them over the course of the past three years. The general consensus seems to be that while they are not without their challenges/downsides, they are a pretty good product for the money. 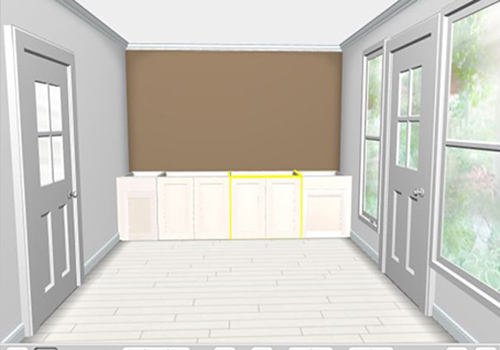 Using IKEA’s Kitchen Planner, I created a room with the same dimensions as the sun room and then went about planning out which cabinets would maximize space and meet my storage needs. Here is what I ended up with. 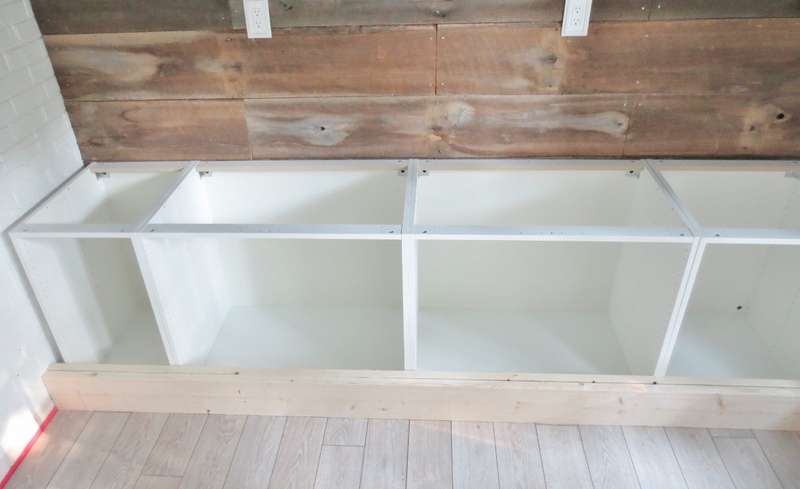 On the left of this image is a 18″ cabinet with a top drawer and bottom pull out function that we are going to use to store the dog’s food containers. 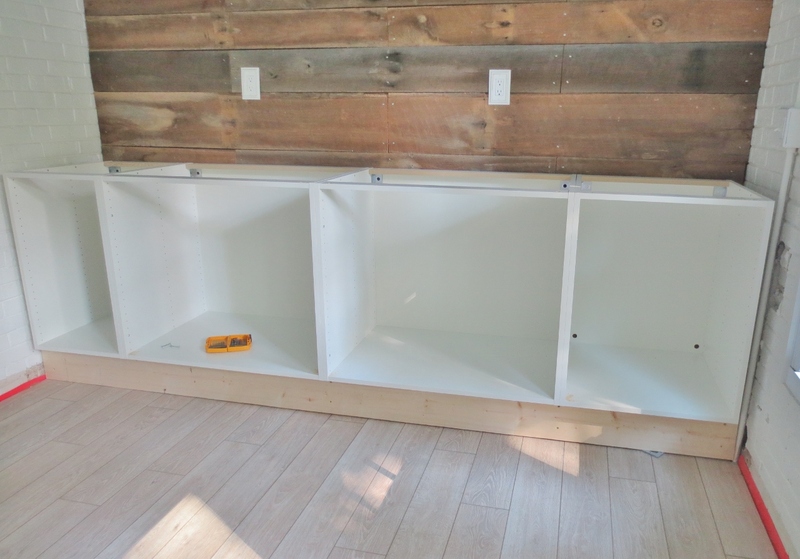 In the middle are (2) 36″ cabinets with standard shelves, and on the right is a 24″ cabinet with a top drawer and standard shelves below. I plan to use the middle cabinets to store my larger kitchen electrics and serving platters and the 24″ cabinet and drawer will be for booze and bar items. All of this stuff is currently housed in the basement so it will be really nice to have it up on the main level. After planning out the layout online, we went into the IKEA store and went over everything with their Kitchen Planning Staff. 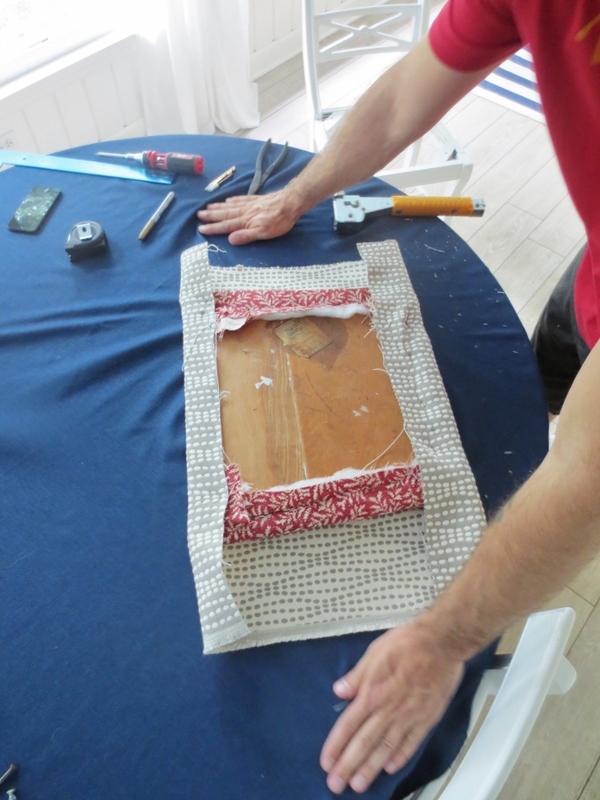 They helped us to make a few tweaks and ensure that we ordered all the necessary components. Some of the items were in stock and some had to be delivered, but we had everything in our possession in just about a week. It’s important to go over the contents of your order soon after you receive it all as it’s common to have missing or incorrect items. We did have one thing wrong but we called customer service and they sent us a shipping label to return the incorrect item and shipped us out the correct piece right away. Assembling the cabinet bases was pretty easy, but not necessarily uncomplicated, much like any other IKEA product. We managed to assemble all four cabinet bases in an hour and a half. 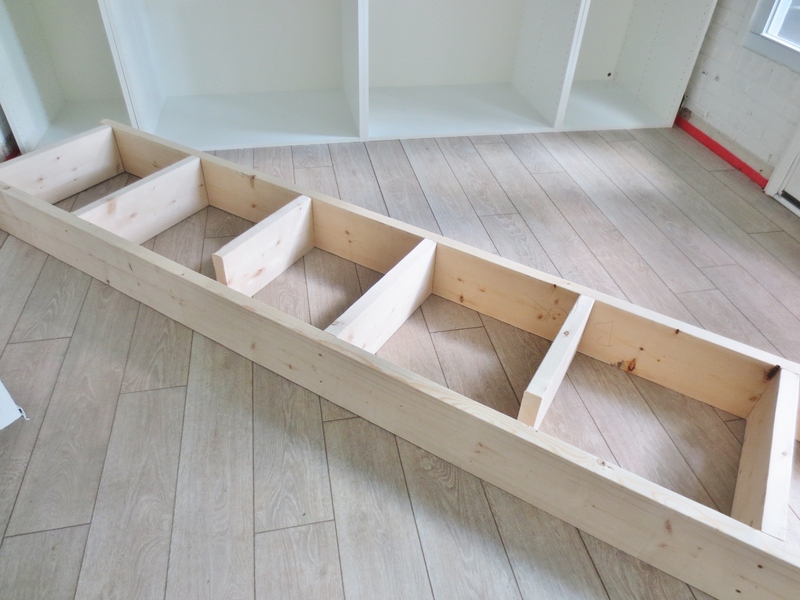 Rather than using IKEA’s stock legs and toekicks, we decided to build our own base for the cabinets so that we could customize the height. We wanted it to be bar height (slightly higher than an average kitchen counter) so we cut two 2×8′ wood boards so that they would run the length of the bar wall. 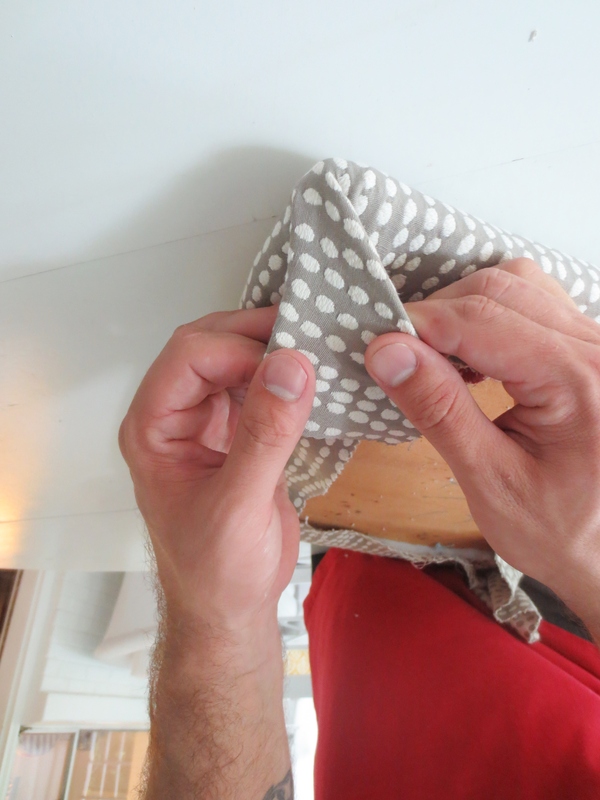 Then we placed cross members (also 2×8′) between them wherever the edges of the cabinets would sit. The width of the base is slightly narrower than the width of the cabinets (21″ vs. 24″) so that the cabinets sit out a bit from the base. 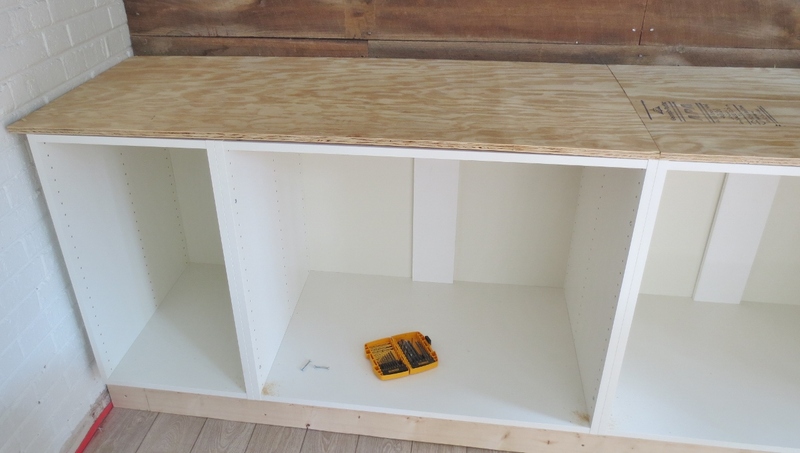 Once we had the base in place, we leveled it with shims and then placed a few screws through the bottom of the cabinets into the 2×8’s. 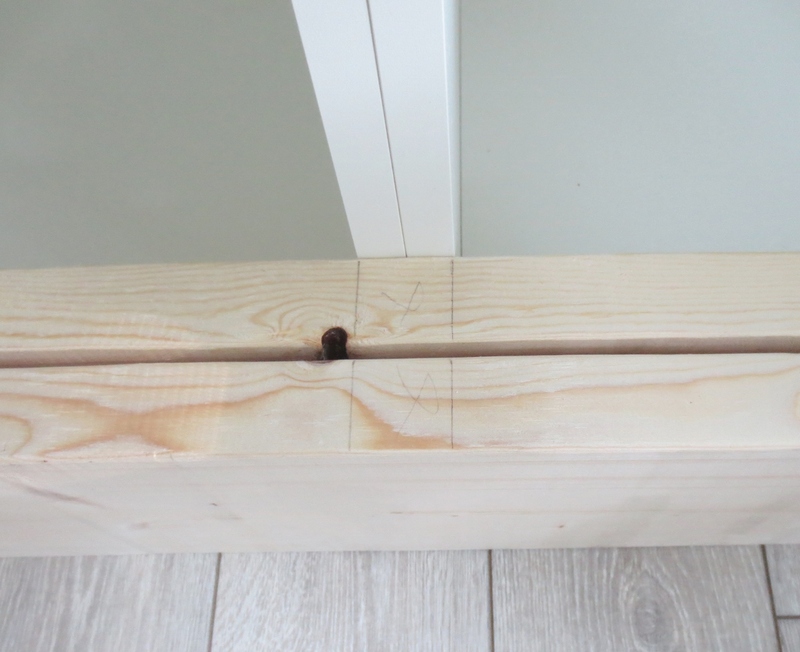 The visible toekick of the base will be clad with the same trim that goes around the rest of the room so the cabinets feel built into the space. On top of the cabinets Mark screwed in sheets of 3/4″ plywood which is what the countertop will sit on. We have decided to DIY concert countertops because of the cost savings and we think the look will tie in nicely with the barn board accent wall. So that’s the next step in this process and we hope to get started on them next weekend. Of course we’ll share on the details as we go! Over the Labor Day Weekend Mark and I tackled recovering the dining chairs. 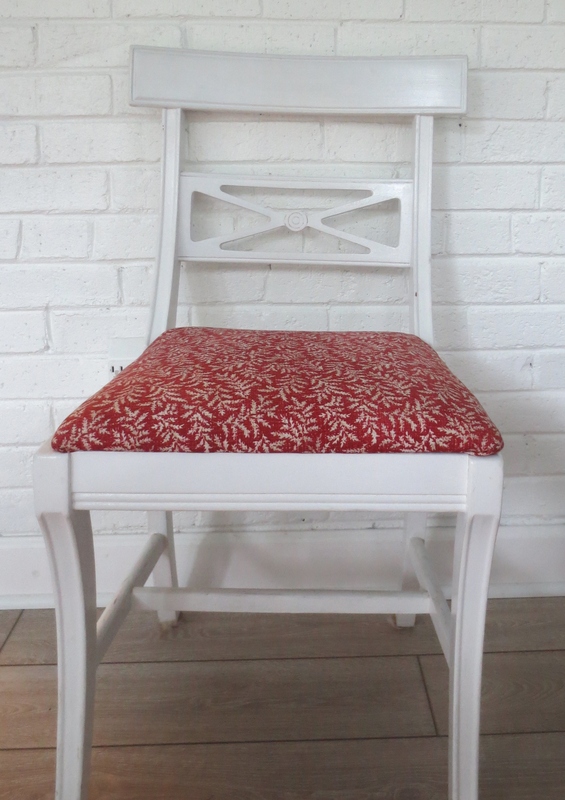 The chairs came to us with a red toile fabric that wasn’t awful, but just didn’t go with the color scheme of the new sun room. A long time ago I order a bunch of swatches online. We decided that grey would be a nice, complimentary neutral. 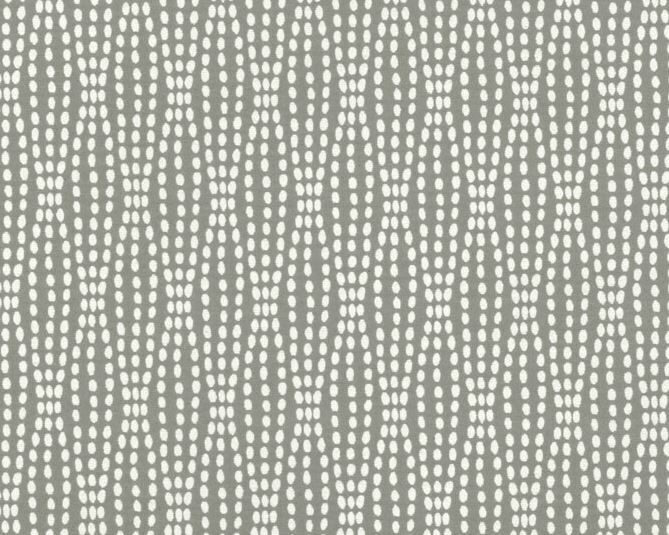 After looking them over we decided on this one and ordered up two yards. 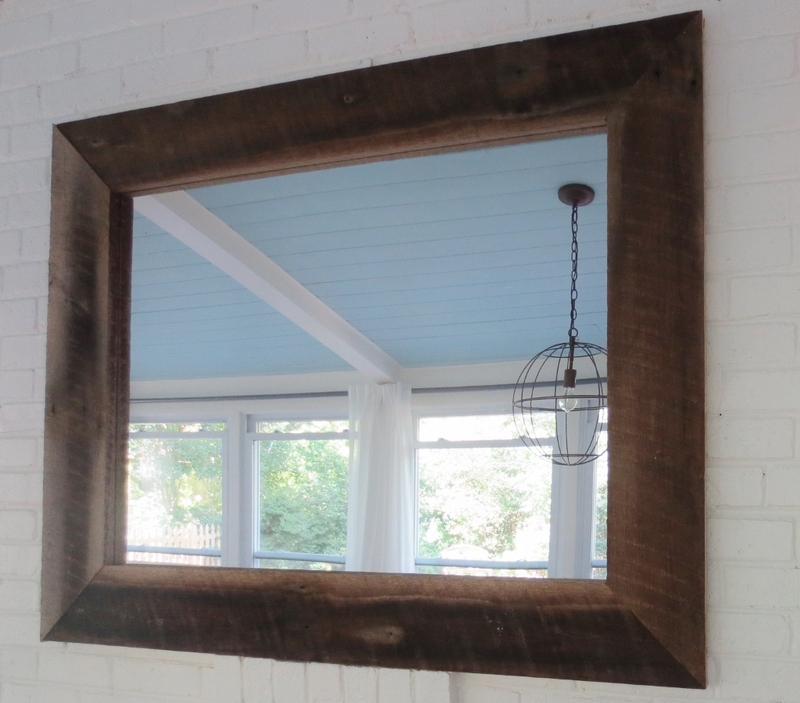 You guys, this is the easiest project! It took Mark and I less than an hour, we did it together, and no one used a swear word. 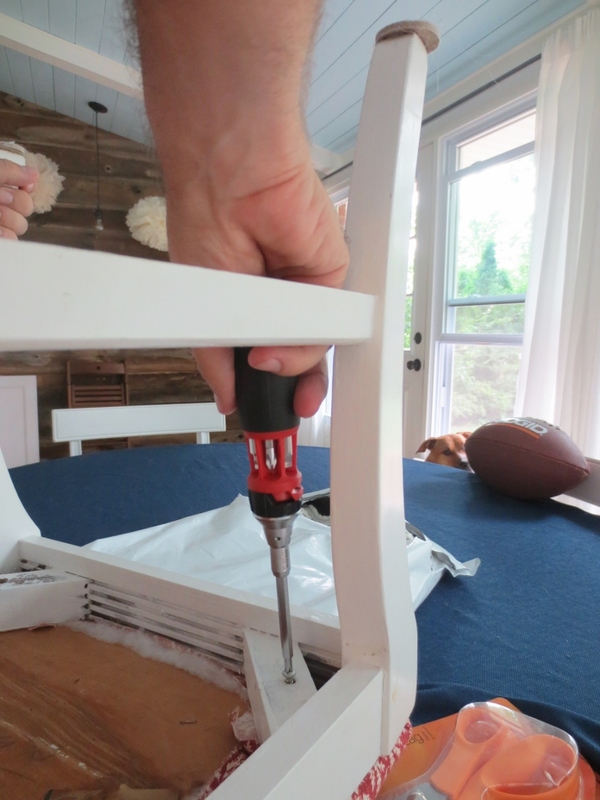 All we did was remove the seat pad from the chair using a screw driver to remove each screw. 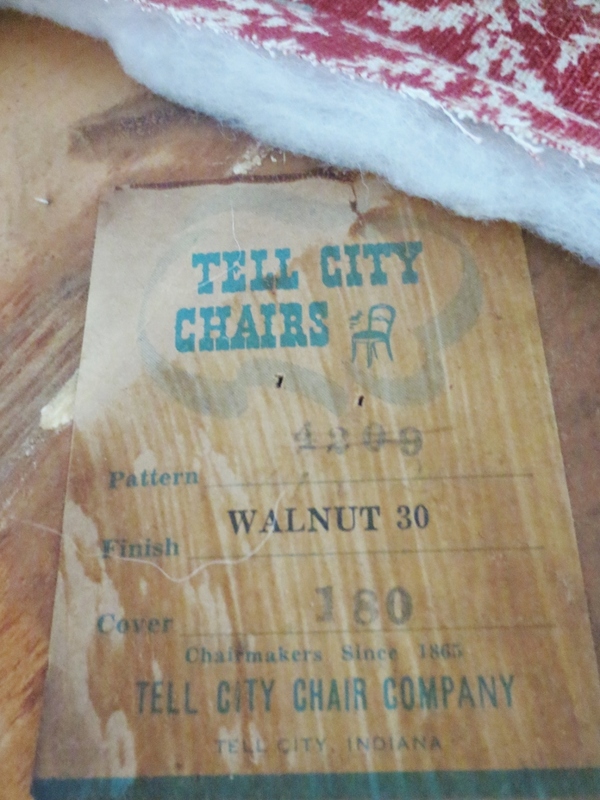 Super Cool Side-Note: This table and chairs was made in Tell City, Indiana, which is very close to the small town where Mark grew up. This wouldn’t be that amazing if this table we from Mark’s side of the family, but it’s not! As I have mentioned before, it was my late grandmother’s and my mom recalls her saving her pennies to buy this and how excited she was when I finally came all the way from Indiana to be hers. Okay, back to the instructions. 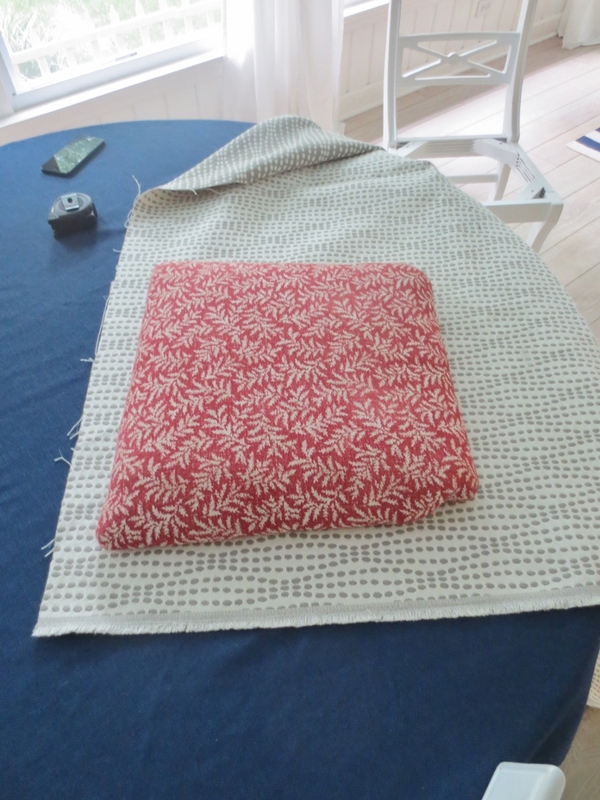 Once we had the seat pad removed from the chairs, we places the pad on top of the fabric and measured how much we would need. Since the fabric we chose was thick and you couldn’t see the old fabric underneath, we just went right over top with our new fabric. 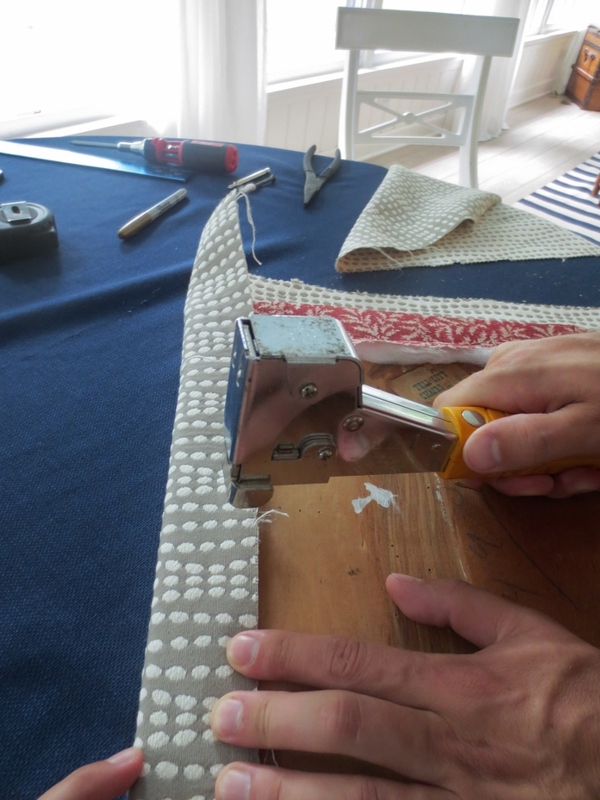 We started with one of us holding the fabric straight while the other one used a staple gun to attach it to the wood. 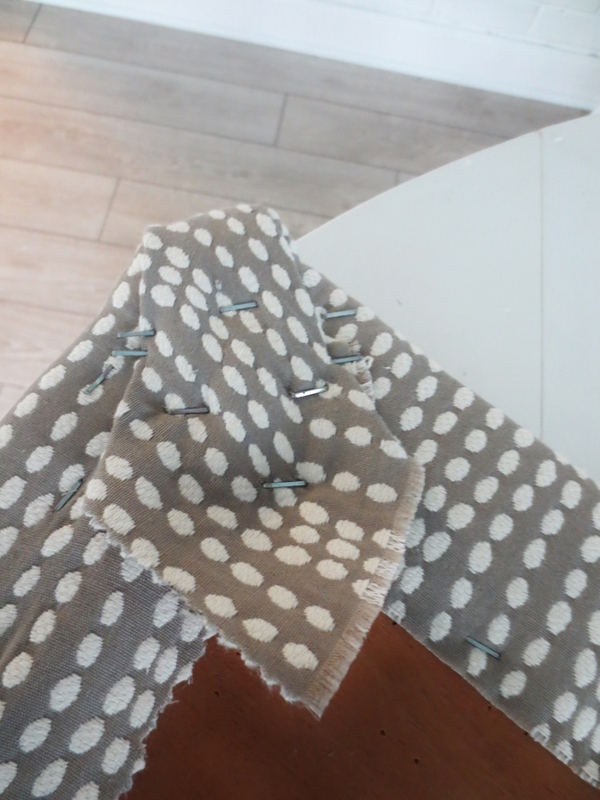 Once the first side was stapled into place we did the opposite side by one of us stretching the fabric so it was taught and the other one stapling into place. And then added staples all along the creases to get a nice clean edge. 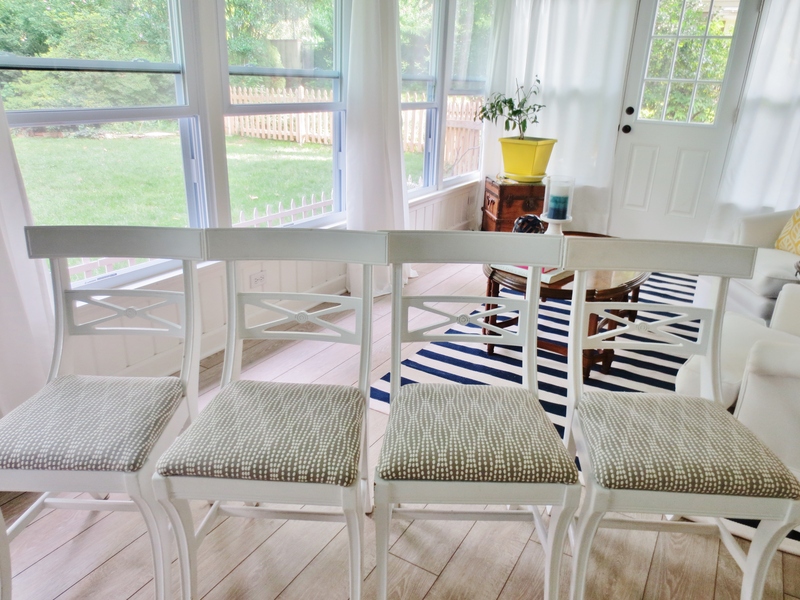 Here are all four chairs all recovered and happy! 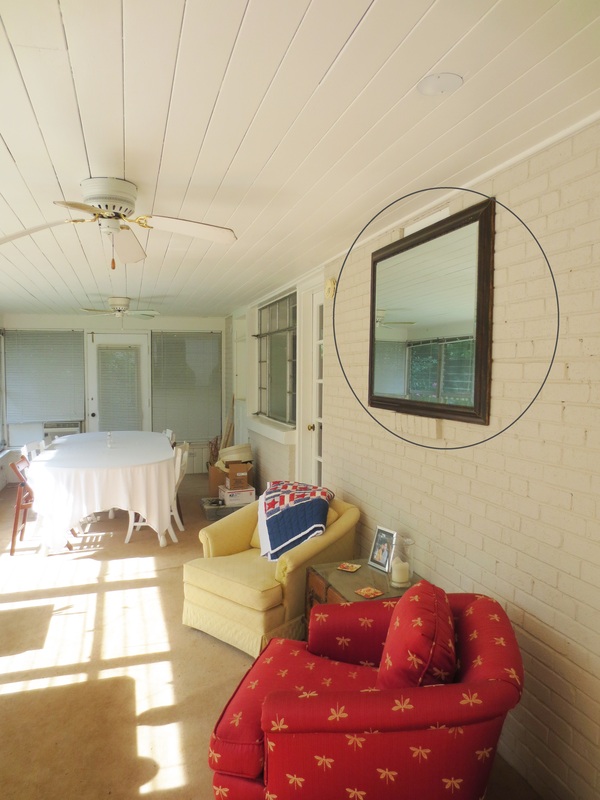 You may remember that we had a mirror in here before. So since the frame was already made, Mark found a glass place by his office and had a new mirror cut to those dimensions. 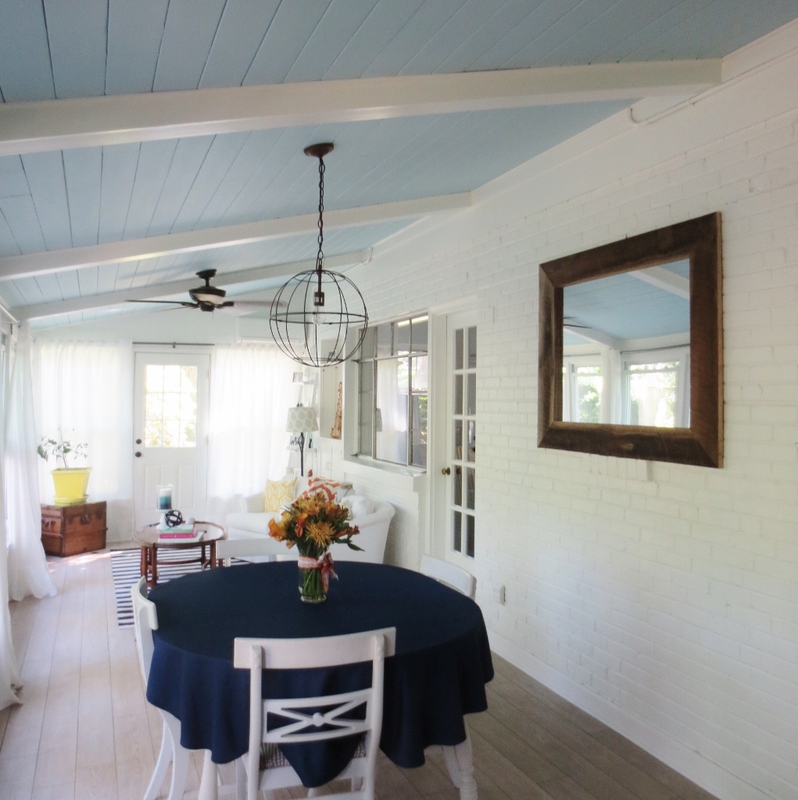 We were more careful installing it this time and here is the finished product. So now both our sitting area and dining area are complete, that just leaves the bar area. Remember our plan here to use kitchen cabinets to create additional storage and a bar area. On Sunday we braved the masses at IKEA and purchased the cabinets we needed to fill the space. More on that process to come.